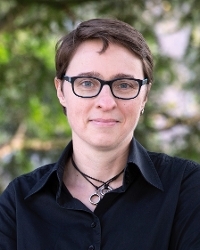 Bibi van den Berg is Professor of Cybersecurity Governance within the Faculty of Governance and Global Affairs at the Institute of Security and Global Affairs. 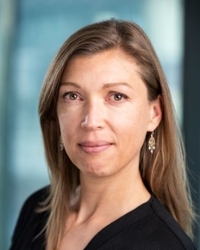 She teaches in Leiden University's Bachelor Security Studies and in the Executive Master Cyber Security (a joint program together with TU Delft and The Hague University of Applied Sciences). 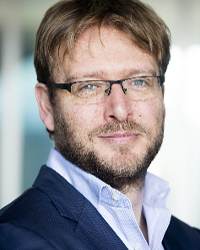 Van den Berg is a member of the Dutch Cyber Security Council, a Council that advises the Dutch Cabinet on how to improve cybersecurity in the Netherlands. She is also a member of the Board of Advisers for IT of the Central Bureau of Statistics (CBS) of the Netherlands. New IT and cybersecurity (on the governance issues raised by the rise of new digital technologies). Prof.dr. Van den Berg’s own research focuses predominantly on themes (1) and (3). Cybersecurity is a field that is characterised by a widespread attitude of hands-on, goal-directed problem-solving. This is a laudable approach, since there are significant cyber risks in a variety of domains the require a response. However, to solidify our approaches to making cyberspace more secure, we must also have consistent, carefully considered conceptual frameworks to address them and a proper academic understanding of the shape, form and depth of particular types of cybersecurity risks. Prof.dr. Van den Berg’s research focuses on this topic. Second, her research focuses on the various strategies that companies, governments and designers use to influence human behaviour broadly, and more particularly in relation to cybersecurity. She has written extensively on techno-regulation and other regulatory strategies. Dennis Broeders is Associate Professor of Security and Technology and Senior Fellow of The Hague Program for Cyber Norms at Institute of Security and Global Affairs of Leiden University. 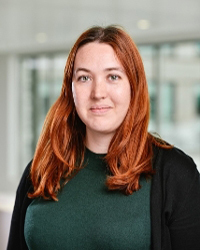 Dr. Els De Busser is Assistant Professor Cyber Security Governance at the Institute of Security and Global Affairs and Educational Director of the Cyber Security Academy, both at Leiden University. Ilina Georgieva is a PhD candidate of the The Hague Program for Cyber Norms. 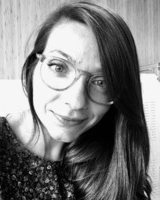 Liisi Adamson is a PhD candidate of the The Hague Program for Cyber Norms. 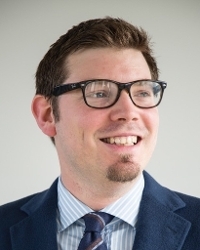 Sergei Boeke is a Researcher and PhD Candidate at the Institute of Security and Global Affairs, and an Associate Fellow of The Hague Program of Cyber Norms. 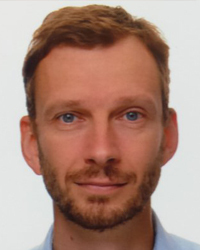 Rogier Creemers is an Assistant Professor in the Law and Governance of China at Leiden University, and an Associate Fellow of The Hague Program for Cyber Norms at the Institute of Security and Global Affairs. 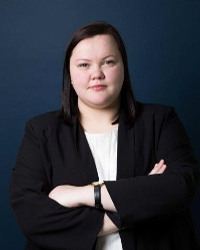 Corianne Oosterbaan works as a Program Assistant for the The Hague Program for Cyber Norms.